Wearable length of approximately 7 1/4″ (including the 1 3/8″ gap). Spans 2 1/4″ wide at its widest point. 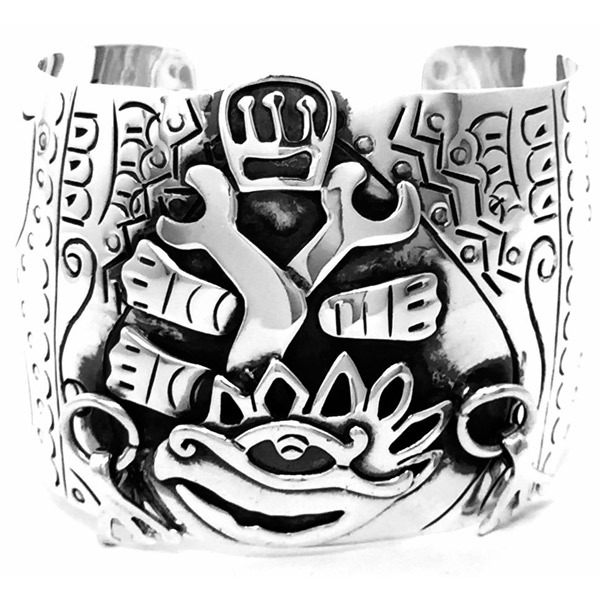 This majestic cuff pays homage to the tribal designs of native Mexican artists with a richly layered and contoured pre-Columbian design. A niello-darkened silver finish punctuates the phenomenal three dimensional aspect of this wearable art piece. This bracelet allows for the slightest adjustment in either direction.